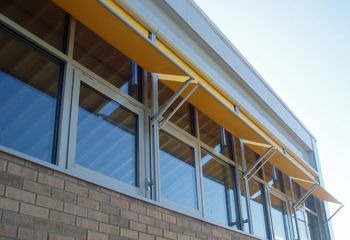 This external solar shading system consists of a range of options to cope with most glazing types. 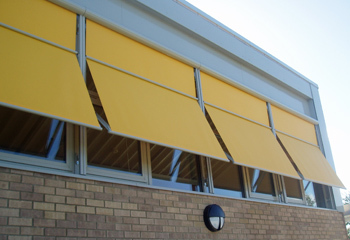 All metal components are made from aluminium or stainless steel and the fabrics used are highly durable, fade, stretch and weather resistant. 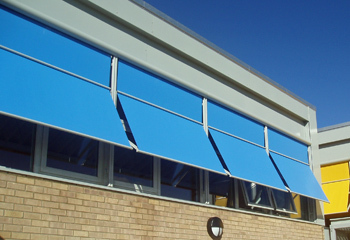 Given the location of these solar shading devices they are typically operated by 240v electric motors which are fully contained in the roller barrel of the blind. 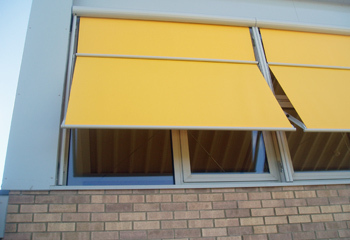 Manual operation is also available. 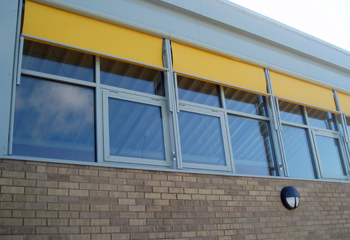 External blinds are typically better at reducing unwanted heat gain than internal solar shading.